Happy Friday! Here is a lovely new FREE embroidery pattern for you! "A woman with needlework in her hands is generally assumed to have no other thoughts in her head, and can safely harbor any number of improprieties." This is one of my favorite quotes from one of my favorite books, Od Magic by Patricia A. McKillip. 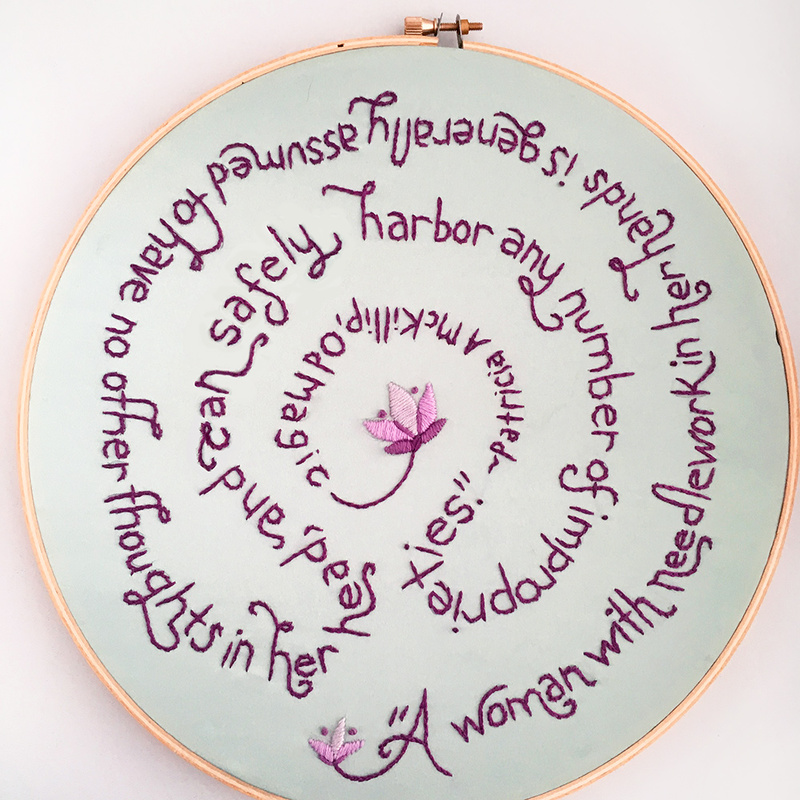 When I read it, I knew it needed to be embroidered. 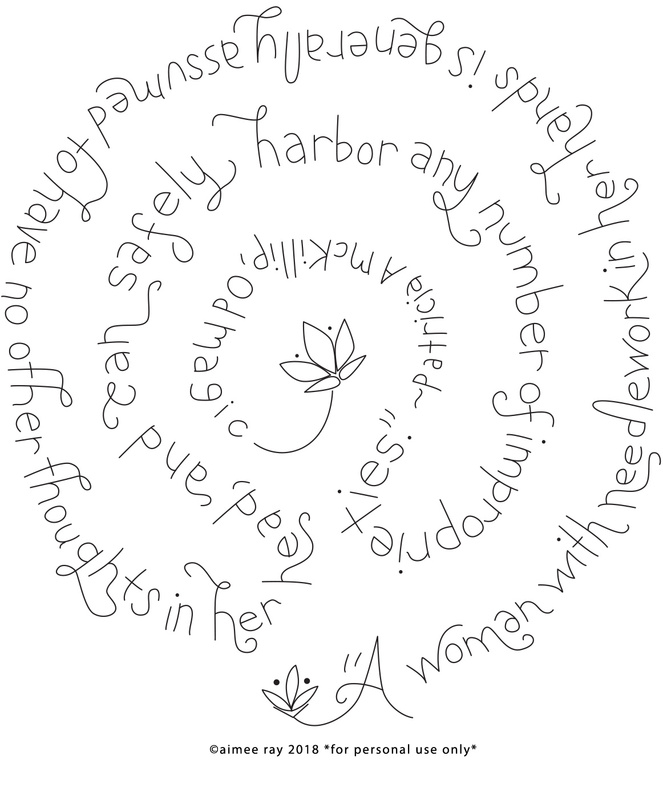 There is a labyrinth in the story, so I designed the pattern as a labyrinth shape. I stitched the words with a Split Stitch, and the flowers with Satin Stitches and French Knots. I used sea green satin for this one, which is so hard to photograph well but looks so lovely in person! 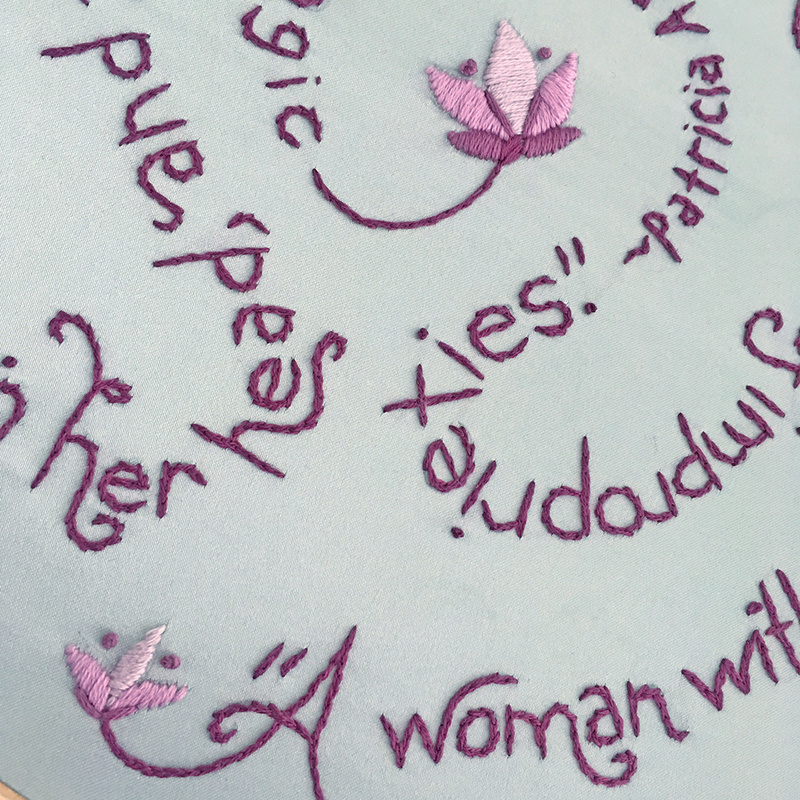 If you've never embroidered on satin before, give it a try sometime on an extra special project. 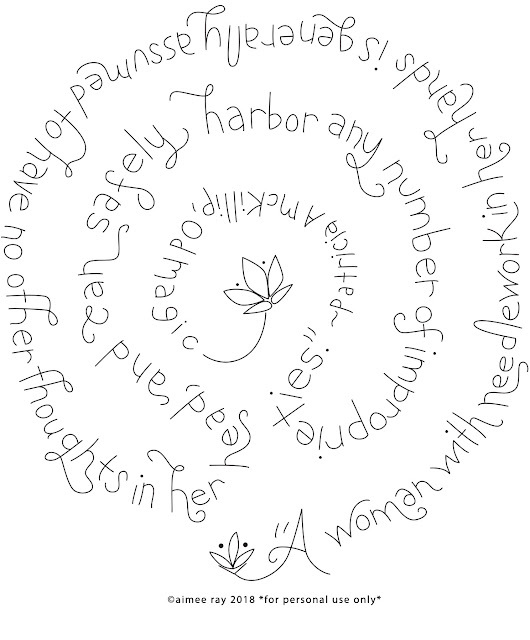 Here is the pattern file (click to enlarge) It fits nicely into a 9 inch embroidery hoop. I hope you enjoy stitching it up and as always, please drop me a photo or tag on IG @aimee_littledear when it's finished! Thanks for the pattern. I'd not heard it before, but love this quote! I love it. I would like to do something similar for my sister's 80th birthday with "When I get Old"... for an small rectangular footstool. Could you tell me what font you used?.. Also will be doing one for myself using your poem!